As major fashion brands work hard to clean up their supply chains, they are implementing technology to optimize the entire manufacturing process, from design to the finished garment. With the influx and growing popularity of digital transformation, brands have further committed themselves to a more sustainable future, to save time and resources, lower production costs and develop and deploy alternative, environmentally-friendly fabrics and textiles. Today, large fashion retailers are partnering with sustainable advisory firms, investing heavily in technology, and supporting global research and programs for alternative production methods and new materials, towards a more sustainable use of resources. Technology icon, Bill Gates, put this into perspective when he said that “the advance of technology is based on making it fit in so that you don’t really even notice it, so it’s part of everyday life.” Gates’ homage to technology is not limited to the confines of the keyboard and computer monitor – it’s a far-reaching prophecy that influences modern society and at its core, is every industry that serves and supports it. The fashion industry ranks high on this list. The relationship between fashion and technology is not new. From the creation of the ancient toga, to the spinning wheel, to the industrial revolution and beyond, clothing has been developed using the technologies of the day. Fast forward a generation or two – the relationship between technology companies and retail giants is now universal. All a result of innovation thriving in its time, today, technology helps brands create and maintain more innovative textiles and supports increasingly sustainable textile production. It’s these same pioneering technologies that add value to the entire supply chain, where brands can now extract additional value from products and materials by integrating them with other applications. More and more brands are meeting technology head-on. They’re investing in groundbreaking technology to offer more sustainable, eco-friendly garments, complying with stringent environmental regulations, and products manufactured in fundamentally greener facilities. It’s technology, namely the use of computer-based technology, that dramatically reduces the vast amounts of actual samples – fabrics and textiles, that end up on the cutting room floor, only to be thrown out in the trash. Cutting-edge software design technology is single-handedly transforming the fashion industry as leading brands, together with smaller design houses, are now deploying innovative 2D and 3D digital design software to optimize productivity, accelerate turnaround time, and more importantly, play an active role in helping to reduce fashion industry waste. Today’s 2D design and 3D visualization software systems enable designers to perfect their garments before ever cutting or sewing the first piece of fabric. The days of designing, sizing and cutting fabrics on the shop floor or on a mannequin, are long gone. Not only does 3D design technology save time, resources and fuel creativity, it helps support a fundamentally greener environment. 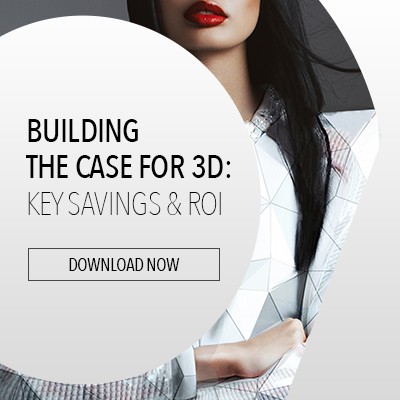 Now the hub of fashion technology, 2D and 3D design tools seamlessly turn flat patterns into 3D models and make adjustments in style, fit, color, prints, fabric type, and features – all in the design environment – reducing the need for wasteful actual samples. For leading retailers, it’s not just about making clothes anymore. According to fashion designer Phillip Lim, “Fashion goes beyond appearance. It’s about sustainability, which is about the past, the present, and the future. You take the inspiration from the past, you think about the effect on the future, but the results need to be perfect for the present.” And this is precisely what’s happening on the runway today. One such technology takes fashion design out of the studio and brings it straight into the lab. New Jersey-based bio-fabrication company, Modern Meadow, uses living cells to grow all-natural materials. The company’s patented bio-leather, that feels and looks like leather, is engineered from collagen protein – or rather, lots of cells and fibers grown in a lab. The concept of bio-design and bioengineered materials has taken fashion technology by storm, bringing it to a whole new level. Using re-engineered materials rather than synthetic polymers that use high polluting chemical processes and do not decompose in landfills, these new-fangled materials are a 100% green as they are made from environmentally-friendly proteins and carbohydrates. Fashion designers like Stella McCartney, deemed as “innovating the fashion industry from within,” is renowned for tapping into these and other advanced technologies to build her luxury fashion brand using sustainable fabrics and processes. Today, 53% of McCartney’s womenswear collection and 45% of her menswear line, are considered sustainable. The brand uses a range of eco-friendly fabrics, including re-engineered cashmere, regenerated cashmere made from post-factory cashmere waste in Italy, and re-engineered silk, replicating nature’s silk-making process, but rendering it more durable and softer. In cooperation with Bolt Threads, a company that harnesses proteins found in nature to create fibers and fabrics, including the first commercially available spider silk product in the world, McCartney designed garments created entirely from lab-processed silk. Results have shown that re-engineered silk creates cleaner, closed-loop processes for manufacturing, in which every component of a garment could be re-used at the end of its life. Besides using green chemistry practices, this process also rings eco-friendly and even vegan-friendly, as it’s made entirely from yeast, sugar and DNA. Moreover, brands are now supporting programs and interventions that tackle both water use and chemical use in the manufacturing process, while new-age bio-designers are introducing methods that use bacteria-secreted pigments to dye fabric. The technique dramatically reduces water usage, requiring less than 7 ounces of water to dye a one-pound piece of silk, and the pigment itself is naturally and non-toxically created by the bacteria. And then there’s kelp. It grows faster than almost any organism on earth, including bamboo – and now, it too, is on the runway. Like wool or cotton, kelp extracts are durable enough for long-term wear but are still ultimately biodegradable, potentially reducing textile and water waste and in the long run, can reduce or even eliminate greenhouse gases. In partnership with H&M, the Hong Kong Research Institute of Textiles and Apparel (HKRITA), developed a method to separate the cotton and polyester in poly-cotton blends, enabling both materials to then be recycled into new yarns. The process uses heat, minimal amounts of water and less than 5% biodegradable green chemicals to separate the fibers. The global footwear industry and brand leaders face numerous sustainability challenges, due in part to the rise in global population, that leads to the growing demand for footwear. Technology is no stranger to the footwear market and for decades, research on environmentally-friendly materials, such as vegetable-tanned leathers, natural rubber and biodegradable fabrics, have led to more sustainable production processes. As more and more brands invest in technology, they are producing superior products, while reducing environmental costs and lowering the carbon footprint. One such example is Nike, whose Flyknit Lunar 1+ design reduces waste by 80% when compared to their more traditional designs. Flyknit uses 35 fewer pieces to assemble than Nike’s comparable designs, resulting in a substantial reduction of waste. Earlier this year, Adidas promoted a new sneaker line made entirely from fibers recycled from waste plastic. This is rather incredible, considering that the average running shoe consists of 20 or more pieces that are so tightly bonded together, they may never decompose in a landfill, let alone, be deemed recyclable. Environmentally conscious brands, such as Puma, are also deploying technology in their packaging, using biodegradable, recyclable materials, and more importantly, attempting to keep packaging to a minimum. Puma and Fuseproject, a brand innovation company, joined forces to create packaging technology that leaves as minimal footprint as possible. This resulted in a recyclable shoebox whose cardboard use during production was decreased by 65%. The box could also be folded in half, taking up less space, reducing transportation costs, gasoline use, and Co2 emissions. The project runs worldwide and by now has saved over 1 million liters of water and a total of 8,500 tons of paper. Even more far-reaching than the direct impact of leading fashion brands, fashion technology has the power to address some of society’s greatest challenges, namely sustainability and the quest for a cleaner world. Brands who invest in research and development, and integrate technology into their supply chain, have a responsibility to upload, by transforming their power in productivity, and productivity into sustainability. Technology has helped the fashion industry meet growing global demands by making production more efficient. But with the advent of digitization, newly developed software, bio-engineered materials, recyclable fabrics and fully automated production processes, brands’ investment in technology knows no bounds. Sustainability is not impossible and the industry, in cooperation with technology companies, is primed and ready for change. Leading brands are now utilizing technology to create new, environmentally conscious clothing. Although usually confined to the catwalk, these designs offer a glimpse into the future, showing the potential of a cleaner, more sustainable world.